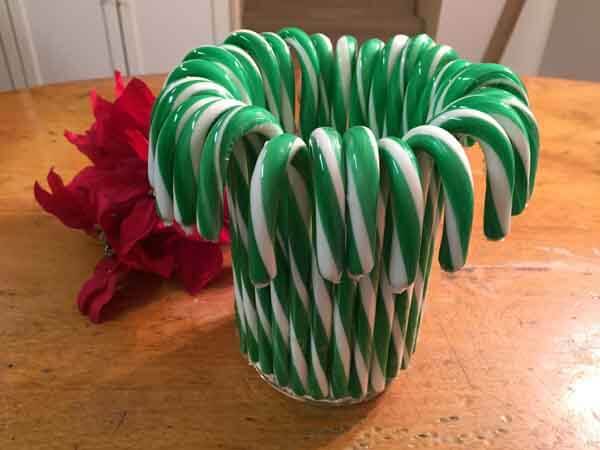 A DIY candy cane vase is an easy, quick and inexpensive holiday decorating idea. Watch this video and read on to learn how to make one. 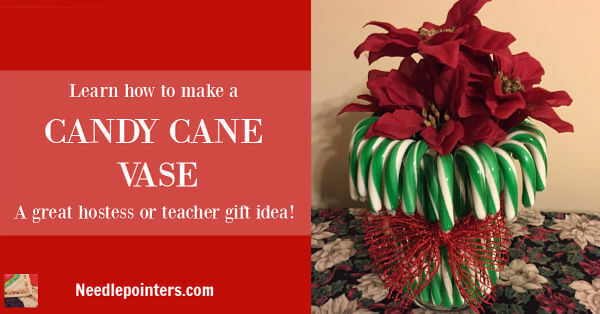 Click to watch the DIY Candy Cane Vase (Dollar Store Craft) video in Youtube. 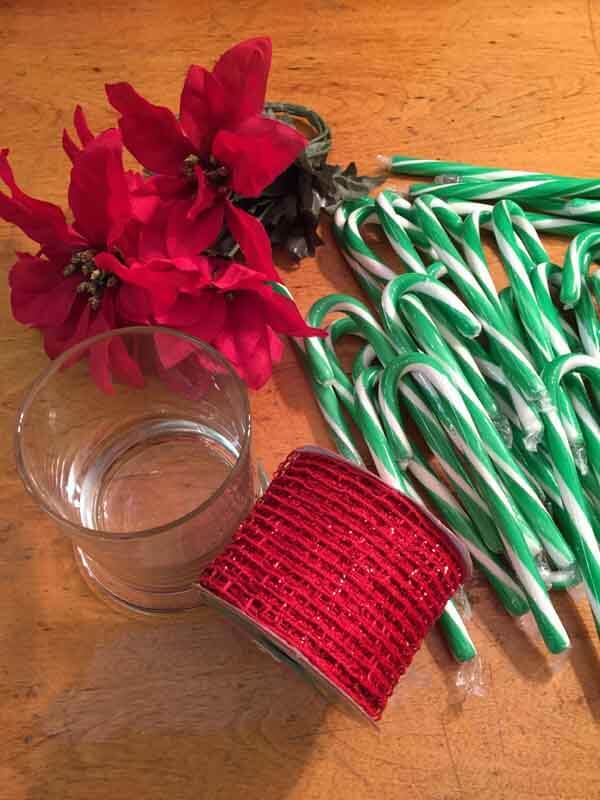 STEP 1: Gather the supplies - a glass vase or glass container which is about the same size or smaller than the candy canes, candy canes, glue gun, scissors and ribbon. The glass container should have straight sides. 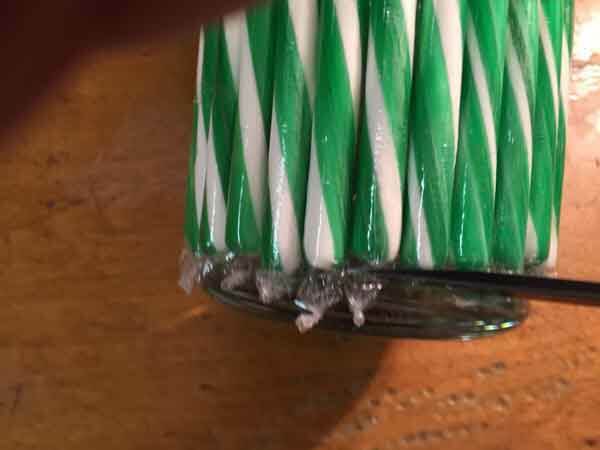 STEP 2: Hot glue candy canes all the way around the outside of the glass container by running a line of hot glue down the back of the candy cane or on the container and firmly pressing the candy cane to the glass. Keep the candy canes as straight and close together as possible. 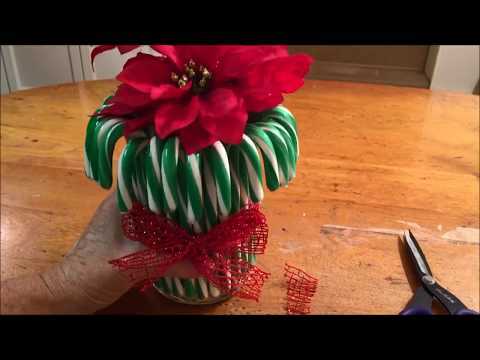 Continue gluing until the outside of the container is completely covered with candy canes. STEP 3: The candy cane paper was quite visible at the bottom of the candy canes and at the top. Use a scissor to trim this excess cellophane paper. STEP 4: Tie a ribbon around the outside and make a bow. Add flowers and enjoy. 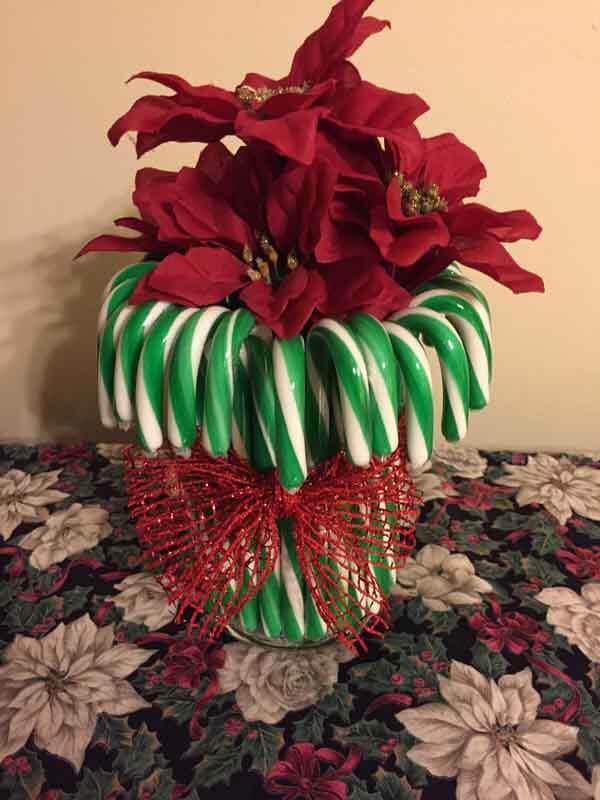 Candy cane vases make great hostess gifts or teacher gifts..